Sunday Sketches #4 – Hey, Look! A Writer Fellow! 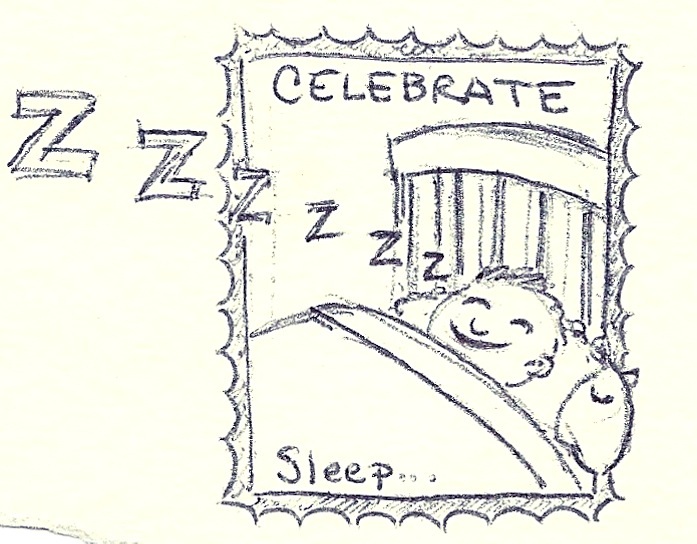 To those who are unfamiliar with the origin of my series of “Celebrate” stamps, you may want to read this first. When I began this stamp business for my son, I had no idea just how much effort it would require. Stamps either had to be drawn early in the morning (while I was half asleep eating breakfast) or late at night (when I was half asleep and ready to go to bed). I don’t draw very well when I’m half asleep and, since I worked in ballpoint pen, I would often need to throw away several envelopes before I could manage something that looked halfway decent. Another thing I discovered about being half asleep: good judgment sometimes fails to show itself. So a few of the stamps I worked on exhibit a noticeable lapse in good taste. Often these stamps were inspired by current events. Surprise, surprise, on the day I drew this, my boy had a cold. My sleepy, hard work on tasteless subject matter often paid off, though. 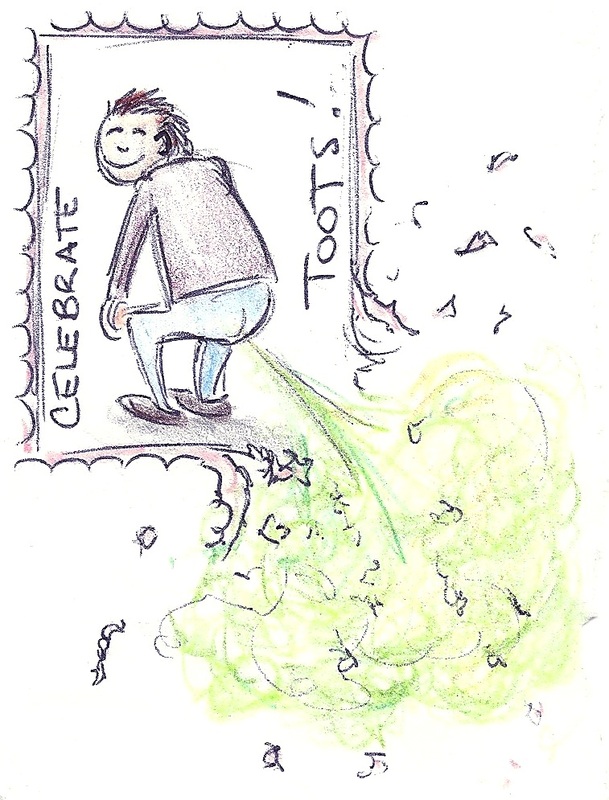 Case in point: I discarded three envelopes before I finally got the right amount of explosive, flatulent pressure needed for “Celebrate Toots.” To this day, my son considers it to be my masterpiece. 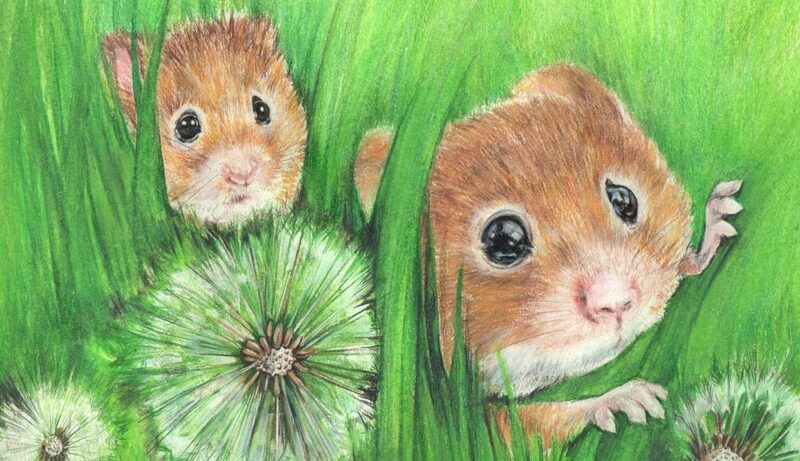 If you prefer, my sister calls them "hiney squeaks." My sister is insane. If I had only read this before Liam requested the naughty kitten! How about a naughty kitten farting!!!??? 😀 Or maybe a naughty dog farting at a disgusted cat? The possibilities are endless! Too late! I finished it last night! Oh my. Funny. 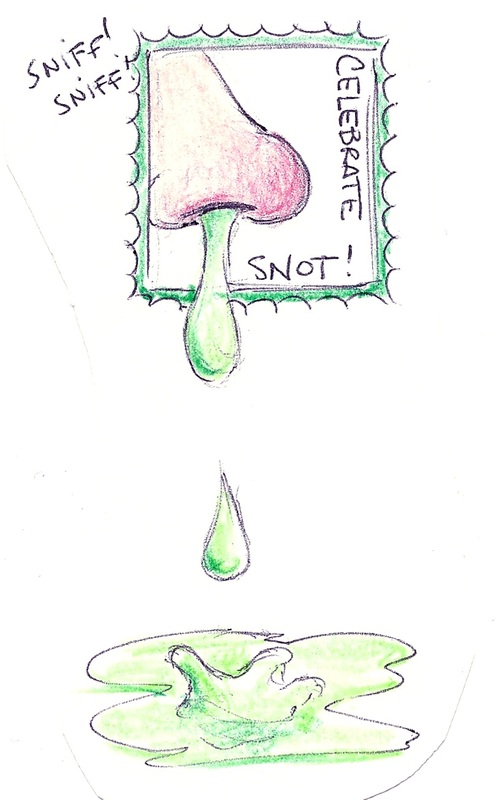 Why stop with snot and farts? Vomit is an old favorite of the young at heart. Vomit would be perfect, actually. We tell a story around here that has become legend; years ago, my son puked on me four times in two minutes. Between each wave of nausea, he laughed hysterically at my horrified expression. LOL. Yes, vomit stories are memorable, especially in childhood. I think this might be a future blog post. A friend called them “barking spiders” when her son farted…it sounded cute so I adopted the expression. That name is so ludicrous it’s kind of perfect, isn’t it?